Following the devastation wrought by Hurricane Odile in September 2014, the Hilton Los Cabos Beach & Golf Resort faced no shortage of dilemmas. Hurricanes wipe clean more than palapas and palm trees, and so the resort reimagined its most basic operational foundation and whether to move to an all-inclusive plan or stay with the European Plan (EP) format in which meals are paid for separately. The Hilton Los Cabos, which reopened in July, is doubling down that agents and their customers will appreciate the meal-optional flexibility. The property’s owners committed to rebuilding with a dual focus: memorialize the hurricane’s devastation, while also moving from the mid-level EP to a luxury category. To repair and retrofit a 375-room hotel is no simple undertaking, especially when the work is done in a remote,peninsular setting. For the Hilton Los Cabos, where some 200 guestrooms were completely or partially destroyed, the renovation became a massive undertaking. A community of stranded vacationers, and hotel staff and their families (many of whom lost homes) spent days in the property’s onsite conference room, a storm shelter turned refuge. And they were also active participants in cleaning up the property. Storm-scattered leather menu covers are also used as bar décor, little noticed by guests sipping sub-zero tequilas and mezcals from the largest selection in Los Cabos. The 65 new La Vista Club Suites feature spacious interiors, extended balconies, marble baths and members-only amenities. The conveniently located La Vista Club Lounge serves daily continental breakfast and afternoon hors d’oeuvres with an open bar featuring Mexican wines and tequilas. “Not only will guests have access to the Club and 24-hour concierge, they’ll also have ‘preference planners’ who will contact them weeks in advance to coordinate anything from pillow preferences to activities,” says Booth. “We can set up private meal times on your balcony or dining onsite or in the destination,” Booth says. The gleaming, U-shaped white hotel rises atop a bluff along the Los Cabos corridor, commanding sweeping views across the Sea of Cortés. At the foot of the bluff is the resort’s lovely, calm-water beach. A rock jetty shelters swimmers from the open ocean, while the attentive staff serves guests who lounge beneath umbrellas shading the white sand. A reimagined 7,000-square-foot eforea Spa is the Hilton brand’s first in Mexico. The 15 treatment cabins feature native fresh herb therapies. A Zen Garden and Movement Studio offers an array of classes, and the fitness center boasts TechnoGym and Precor equipment. 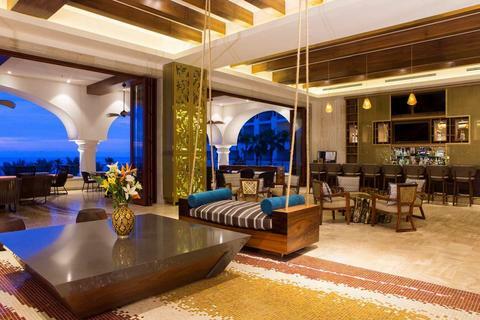 The resort created four new dining and bar concepts, and significant improvements were made to its existing restaurants — El Meson (small-plate nibbles and specialty stations) and Madero (sea view, tacos and unique cocktails). The main restaurant is Vela, where refined Italian cuisine is complemented by fresh Mexican ingredients, fresh fish and fine Mexican wines. Agents can confidently recommend the property to brand-loyal Hilton HHonors vacationers, who will feel right at home. 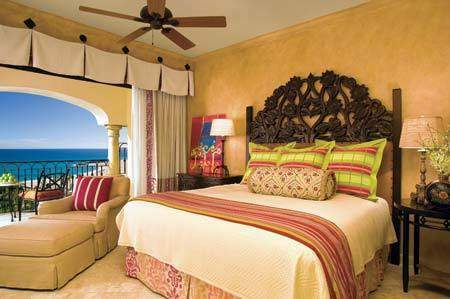 The resort is family-friendly and features the Cabo Kids Club. The property also caters to groups both large and small, and features state-of-the-art convertible meeting space, ocean-facing lawn terraces and venues for beach party-themed events.